The blockchain is that type of technology which allowed distribution of digital information without being copied by anyone in middle (Hacker). It was invented to create the cryptocurrency “Bitcoin” and online signature services more secure. As we can assume by its name a blockchain is a chain of blocks that contain information. This technique was originally described by a group of researchers in 1991 so that they can timestamp(a digital record of the time of occurrence of a particular event ) digital documents by which information can’t be changed. It became popular because of its security. It won’t be unlikely and unconvincing to think of a future which will be built entirely on it. So, what do you need to learn in order to start developing on the blockchain? I will tell you! 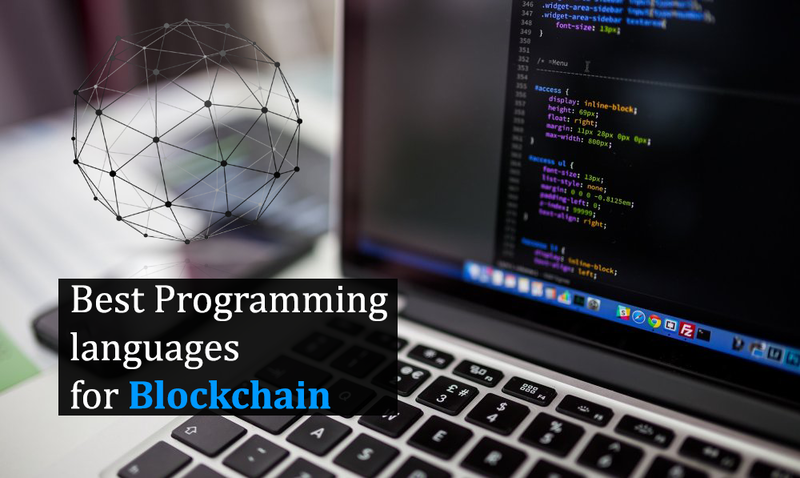 In this article, you will find the top best programming languages to learn for blockchain. Java is also general purpose object-oriented programming language developed by James Gosling and Patrick Naughton. The main reason behind the popularity of Java is platform independence means it can run on any computer as long as the computer has (JRE) java runtime environment installed in it. Java is also very important to the world wide web. It is also now used in making simple and unable to change blockchains. This makes impossible for anyone to change the contents in a block after it has been verified and hashed. Any change in its content will produce a new “previousHash”, which will discourage the new block from being added to the chain. Simplicity is a programming language created by Russel O’Connor claimed to be the easiest language for blockchain technology. It was basically designed for smart contracts on the blockchain. Simplicity also offers improved safety. That begins with type-safety. Solidity is an attempt to improve basic cryptocurrency languages like Bitcoin Script and Ethereum Virtual Machine (EVM)etc. It also uses static analysis which is a technique that enables a universal algorithm to determine the cost of running any Simplicity program. O’Connor’s paper on Simplicity offers the first look at this new cryptocurrency language. Hoping the language will be included in the bitcoin after careful examination. Conclusion – Blockchain is a revolutionary technology which has a wide scope in future. It will have an huge impact on various sectors and industries due to its growth rate and popularity. In order to excel in that, a developer must know the languages mentioned above. If you have any better suggestions let us know in the comment section below.